The politically correct deprivation of free speech, due process, and other basic civil liberties in American higher education counteracts the truth-seeking mission of universities. Rather than promoting equal respect and tolerance of diversity, these policies have proved divisive and compromised the exchange of ideas. What must be done to reverse this trend? Drawing on personal experience as well as in-depth research, Downs analyzes the origins and development of the problem at four leading universities (Berkeley, Columbia, Wisconsin and Penn) and the effectiveness of conscientious political resistance by faculty and students in renewing the principles of free speech and civil liberty. Chapter 8: Some conclusions concerning civil liberty and political strategy. Principles of academic freedom are crucial to the success of liberal education and constitutional democracy. These include freedom of speech, freedom of inquiry, and due process and equal protection in the adjudication of discipline. Although such principles are universally recognized as central to the university's mission, history has witnessed several lapses, such as during the Red Scare after World War I and the McCarthy era in the 1950s. Historically, the threats to the principles of academic freedom have come from outside the university, and from the Right. A new period of repression has arisen since the late 1980s, with the rise of progressive censorship, or censorship in the name of promoting progressive goals, such as diversity and sensitivity concerning matters of race, gender, and sexual orientation. Though these ends are worthy, the means universities have chosen to promote these goalsspeech codes, broad anti-harassment codes, and unequal application and selective enforcement of university ruleshave often had illiberal consequences, violating all of the principles of academic freedom. Intellectual diversity and freedom are casualties of the era of speech codes and progressive censorship. Many books have addressed the legal and normative problems caused by political correctness and progressive censorship, but none has fully considered a distinctive political aspect of the problem: the absence of political mobilization by individuals and groups dedicated to the principles of academic freedom. Restoring Free Speech and Liberty on Campus fills this void. Although author Donald A. Downs deals with broader aspects of the problem (the importance of academic freedom and liberty principles per se, historical and institutional perspectives, legal and philosophical developments), his primary concern is to show how the presence or absence of political organization and mobilization make a difference in the status of academic freedom principles at universities. Downs deals with theories of political change and political strategies in the politics of civil liberty. Key civil liberty conflicts at the University of California at Berkeley and Columbia University provide examples of the failure to mobilize on behalf of the principles of academic freedom. At Berkeley, speech deemed politically incorrect has often been harassed and intimidated in the public forum, and student newspapers have often been stolen en masse. In one case, a publication's office was burglarized by opponents. In none of these cases has a strong mobilization risen to defend the principles of academic freedom. A similar problem arose when Columbia enacted a new policy of sexual misconduct that eliminated most meaningful due process protections for the accused. Campus leaders involved in making the policy acknowledged that the absence of any opposition was largely responsible for the one-sided policy that emerged. The University of Wisconsin and the University of Pennsylvania provide constructive counter-examples. Each of these schools enacted speech codes and related policies in the 1980s. But pro-academic freedom groups emerged at both schools in reaction to troubling applications of the codes. Employing a variety of political strategies, these groups were able to restore respect for the principles of academic freedom at their respective institutions. Commitment to these principles had not died at these schools, but needed to be reawakened by individuals and groups who were willing to stand up and defend them in the face of sometimes intense institutional and political pressure. Downs's case studies reveal the importance of political mobilization on behalf of the principles of academic freedom. The crisis of academic freedom is the product of a lack of education and commitment. If administrations are reluctant to undertake these important tasks, it is the responsibility of faculty and students (hopefully in alliance) to fill the void. The future course of higher education is at stake. Beginning in the late 1980s, institutions of higher education in the United States began to look upon intellectual freedom as a threat rather than as an invaluable good. For the first time in American history, liberal principles of free speech and inquiry found themselves under attack from the Left for allegedly harming social justice and progress. Faculty, administrative, and student leaders began to view free speech and open discourse as a threat to such emergent university goals as diversity and sensitivity concerning matters of race, gender, and sexual orientationat least when the discourse was considered hostile to reigning conceptions of these new agendas. Although diversity and sensitivity were legitimate goals, the methods used to pursue them were often illiberal and repressive. By the end of the 1980s, such policies as speech codes, excessively broad anti-harassment codes, and compromises of due process and equal protection in adjudication had become commonplace in American universities. Progressive censorshipcensorship in the name of progressive causesbecame enfranchised at many institutions. Intellectual diversity and freedom were casualties. What effect has this movement had on the principles of academic freedom in higher education? What can explain why and how this surprising turn of events took place? And what can be done to restore a commitment to liberal principles of freedom on campus? 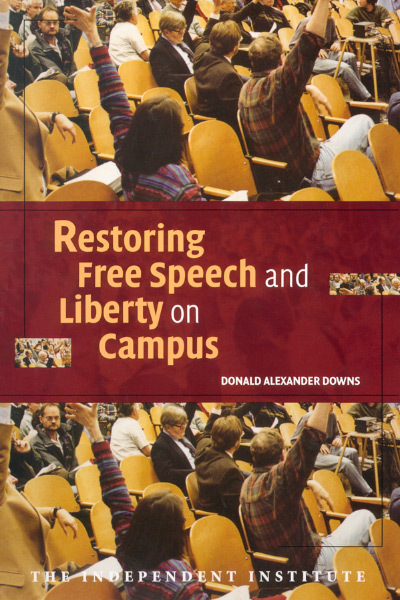 In Restoring Free Speech and Liberty on Campus, Donald Alexander Downs chronicles the rise of the new anti-free speech movement anddrawing on both research and firsthand experiencecharts strategies for making universities once again bastions of free speech and open inquiry. The key focus of Restoring Free Speech and Liberty on Campus, however, is political. It shows how political mobilization on the part of liberty advocates can indeed restore liberal principles of freedom to campuses that have undergone the transformation to the regime of speech codes. In making this analysis, Downs discusses various political and rhetorical strategies, as well as theories of political action. Drawing on research as well as his own personal experience as a leader of a unique free speech and liberty movement of students and faculty at the University of Wisconsin, Madison, Downs reveals how the right kind of political organization and commitment can pressure universities to abolish repressive rules and restore their respect for free inquiry and discourse. In addition to examining universities nationwide, he focuses on four case studies that show the difference the right kind of politics can make: Wisconsin, Berkeley, Columbia University, and the University of Pennsylvania. Two of the case studies show how the absence of political mobilization on behalf of liberty principles leaves these principles without recognition or support when campus political pressures run in the opposite direction. At Columbia, in 2000 the University Senate enacted a new sexual misconduct policy that eliminated most meaningful due process protections for the accused, largely because no organized pro-liberty voices existed to present the due process case. At Berkeley, for years the forces of progressive censorship have obstructed and intimidated unwanted conservative speakers in the public forum and engaged in improper acts (sometimes illegal) against student newspapers that have published pieces deemed hostile to certain progressive causes. Again, no organized opposition to these acts has arisen at the erstwhile home of the Free Speech Movement. The University of Wisconsin, Madison, and the University of Pennsylvania present positive examples of constructive resistance and change. Wisconsin had previously taken pride in being a national pioneer in the pro-speech code movement under the leadership of former chancellor Donna Shalala. But a series of questionable applications of the faculty speech code led to the formation of a resistance movementthe Committee for Academic Freedom and Rightswhich deployed a variety of strategies to revive free inquiry principles at the university. These strategies led to abolition of the faculty speech code by a Faculty Senate vote in 1999an act virtually unprecedented in American higher education. 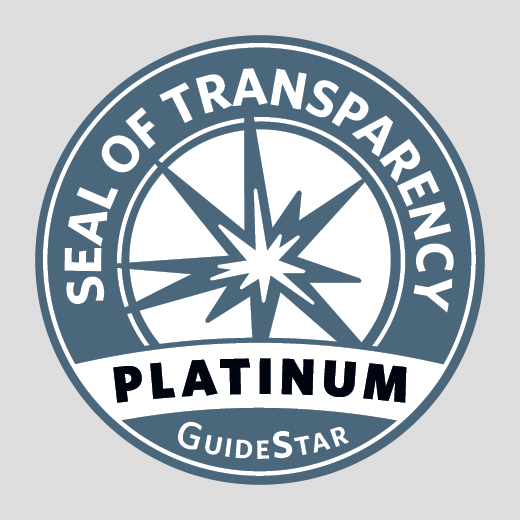 With a politically astute infrastructure now in place, the Wisconsin movement won several other victories on the free speech and liberty front in subsequent years. In one such case, the movement successfully pressured the university to dismantle a campus-wide system of anonymous complaint boxes that had clear Orwellian implications. The movement has also given legal assistance to several individuals when their rights have been placed in jeopardy. While pro-liberty students and a unique faculty organization led a group effort at Wisconsin, history professor Alan Kors and a small cohort that included physics professor Michael Cohen led a similar movement at Penn. In 1993, the Penn judicial system prosecuted a student for calling some noisy students water buffaloes, a term the system claimed violated the student speech code's prohibition of racist comments. But the term water buffalo was widely understood to have no racial meaning. Kors took up the cause of the prosecuted student, turning the case into a national showcase of the absurdities of political correctness run amok. Using the public reaction as leverage, Kors was able to use the case to promote significant institutional change at Penn, including the abolition of the student code. Penn and Wisconsin stand as exceptional cases in the new politics of civil liberty on campus. Academic freedom principles will not survive in today's campus environment unless individuals and groups stand up to promote and protect these values in the face of often intense pressure. To prevail in the struggle for free speech on campus, advocates of liberty must be willing to take what may be an unpopular stand and make the principled defense of liberty part of their agenda. In addition to understanding the issues at stake, recognizing when violations occur, and committing to action, they must also possess the skills needed for successful activism. These include enlisting the support of others and networking with like-minded people, as well as winning the battle of naming the conflict (one reason the free speech movement at Wisconsin succeeded was because the students' speech code was commonly called a speech code). Universities need to be educated in the principles of freedom and political courage; they must become better at promoting tolerance of diverse opinion, including the opinion that dissents from the university's preferred agenda or the agendas of preferred groups. Thus far, universities have not done a good job performing what is admittedly a delicate balancing act. They will not do so until they begin to take the principles of liberal individualism and freedom seriously once again. Donald A. Downs is Professor of Political Science, Law, and Journalism at the University of Wisconsin, Madison. As President of the Committee for Academic Freedom and Rights at the university, he has been a leader in the free speech and civil liberty movement in academia. He has also consulted with numerous organizations and universities about free speech and academic freedom issues.